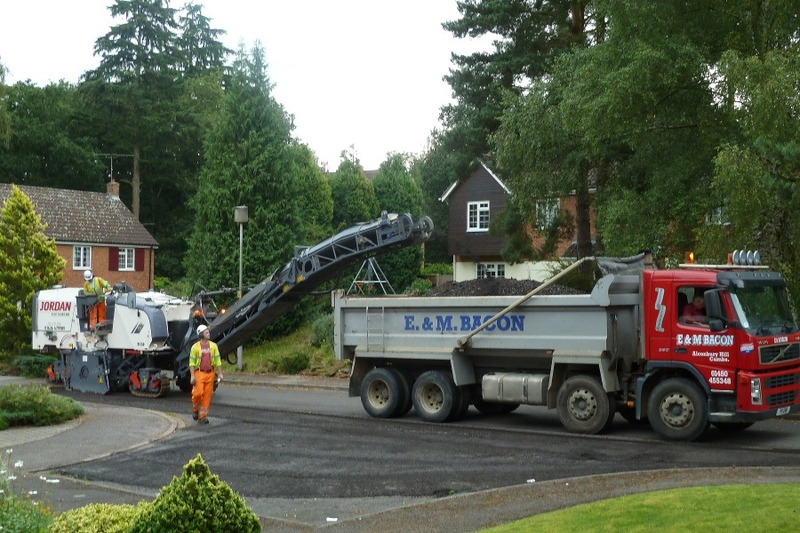 Several weeks ago we received a letter from the council saying that our road was going to be resurfaced. The work would entail two closures, the first of which was for two days, 10th & 11th August, to allow the existing surface to be stripped away. 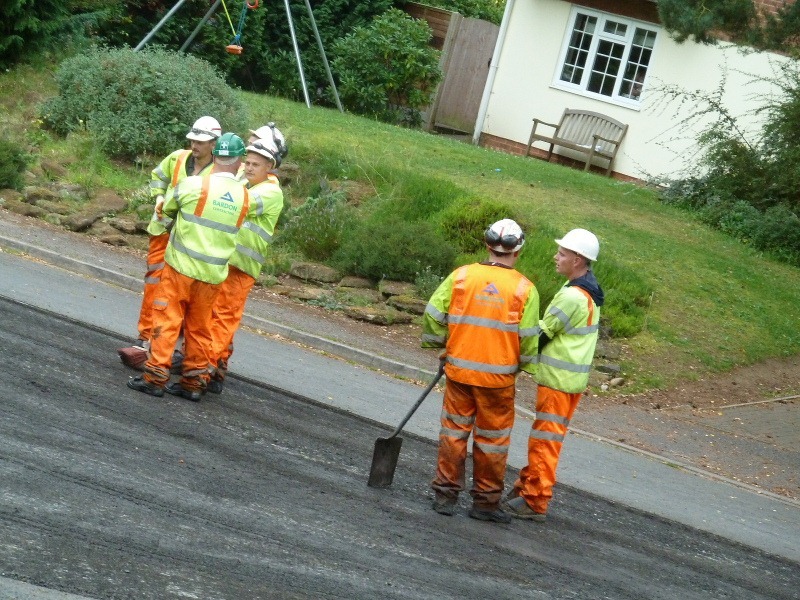 The second closure was intended to be for three days from 30th August when our road would get its nice new tarmac. Whilst it might seem somewhat inconvenient to have one’s road closed, we can’t both grumble about the dreadful state of our roads and complain when they try to do something about it. Actually, we’d be away for the second closure so that would be no problem and we could easily work around the first 2-day session. A sign went proclaiming the road closure of 10th & 11th August. The sign included a helpline phone number (0300). Very considerate. Unlike any road working equipment, 10th Aug arrived and went. Likewise, 11th Aug passed with a distinct lack of activity. Where was our road-stripping team, we wondered. My neighbour rang the helpline phone number which, predictably, nobody answered. Wunderbar! 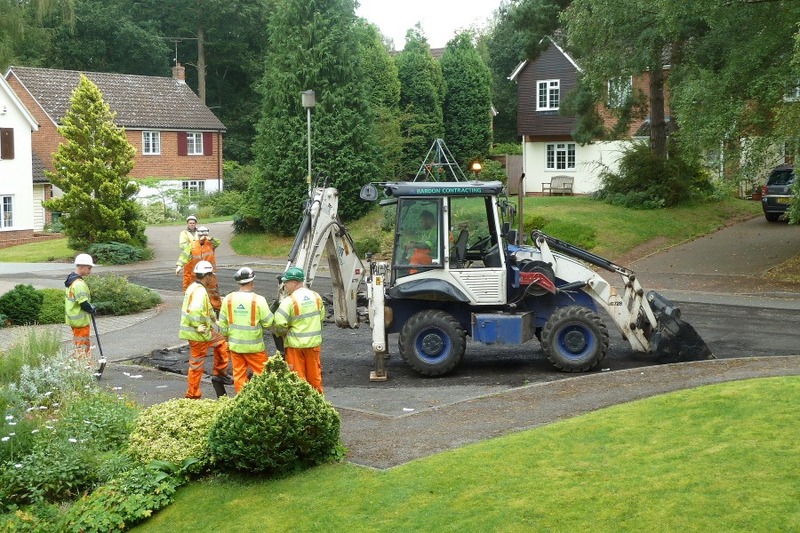 On 14th Aug, after the fact that work had been delayed had become glaringly obvious, a small white van arrived and changed the dates on our “road closed” sign to 20th Aug – for three days, this time. Too late! We don’t mind road closures for a new surface. Given our generally crappy weather this year, we can also understand that works may be delayed. What is less than acceptable is the lack of communication when such a thing happens. Folks might have arranged to be away to avoid the disruption; we were certainly considering it. Anyway, after one false start, not only did 20th Aug arrive but so did a large, scary piece of equipment resembling a mechanized brontosaurus [left]. After a short pause, the driver of the mechanized brontosaurus fired it up and advanced a little scraping off a depth of about 5cms/2ins of our road’s surface. After a promising start, the brontosaurus stopped. Following a slightly longer pause, a lorry/truck arrived and the purpose of the brontosaurus’s neck and head became clear; once again fired up and in motion, the debris from our road’s surface shot up the brontosaurus’s neck, actually a conveyer belt, to be spewed through its head into the advancing lorry. Clever. So, the vast majority of the road surface was now being stripped pretty efficiently by two men, one driving bronto and one driving the lorry. Well, OK, three men; as you can see from the second picture there was the inevitable supervisor/foreman coordinating operations. Most of the time, he seemed to act as a director for the lorry driver, rather like the guys on airport aprons guiding aircraft onto their stands with a pair of table tennis bats. 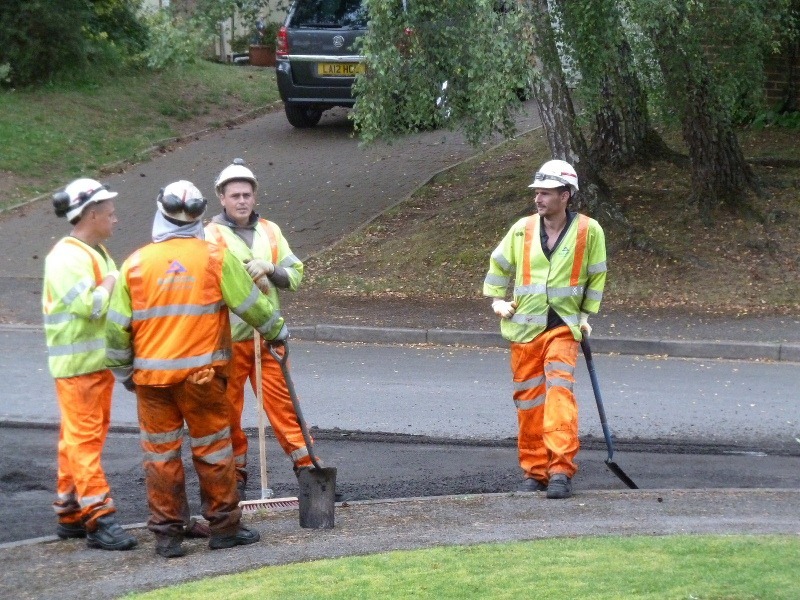 While all this admirably efficient road stripping was afoot, other chaps seemed to be engaged in the critical work of leaning on brooms and shovels. We started with three but soon the three were joined by a fourth. Four then became five. 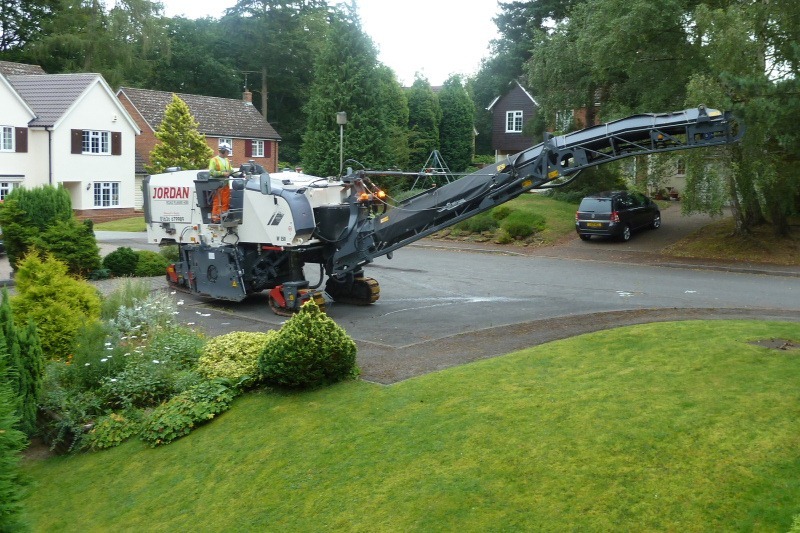 As clever as bronto may be, suited for fine, precise work it isn’t; bronto is not delicate enough to strip the road surface into 90° corners or around drain covers. For this, a more conventional piece of equipment was called upon together, of course, with sufficient men to fill the leaning-on-brooms-and-shovels quota – six now, it seemed. One of the chaps here [left] was clearly finding leaning on a broom or shovel quite taxing because he appears to be mopping his fevered brow. Nonetheless, progress was made apace thanks to bronto and a constant stream of debris lorries. Our original road closures having been timetabled for two and three days respectively, with our new first closure now supposedly being for three days, we don’t really know what’s going on. Is it all now to be completed in a single three day visit or has the original two day estimate been increased to three? Maybe they couldn’t hire enough guys to lean on the brooms and shovels necessary to get it done in two days. Time will tell, watch this space.